15 October, 2011, 09:41 pm in "October 2011"
There are several road improvement projects going on right now in and around the city. 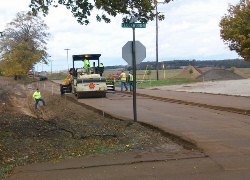 In this photo, preparations are being made to pave (for the first time) part of Sanford Road just north of Lockwood Road. This portion of the road sees heavy traffic due to the adjacent Lockwood Community Church. A runoff ditch was created and a large tree removed as part of this project. 12 October, 2011, 11:00 pm in "October 2011"
Since the beginning of October, Coldwater has enjoyed some awesome, sunny, and unseasonably warm weather. 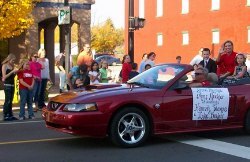 The weather was perfect for Coldwater High School's Homecoming, and there was a large turnout for last Friday's parade. Click here to enjoy a photo album of every group in the parade. Best yet, the Cardinals won the evening football game! 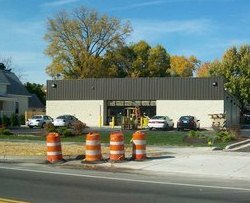 11 October, 2011, 07:41 am in "October 2011"
Construction on the new Dollar General store has been surprisingly rapid. In fact, they closed their old store at 5 p.m. yesterday and are ready to open in the new store today. Be sure to check out the Dollar General photo album for additional photos. 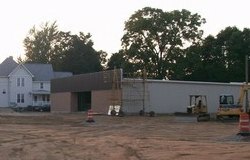 8 September, 2011, 07:35 am in "Unfiled"
6 September, 2011, 09:44 pm in "September 2011"
Rapid progress is being made on Dollar General's new store which will be on the former Houser's lot about one block from its current location. Click here to view photos from various stages of construction. Powered by My Blog 1.7. Copyright 2003-current FuzzyMonkey.net. Created by the scripting wizards at FuzzyMonkey.net. Blog content © 2008-10 MyColdwater.com - Coldwater, Michigan. All Rights Reserved.